We are off school due to a fairly significant snow fall, for us anyway. It's snowed at least 4 inches so far and still coming down I would guess. This is from a more pretty snow we had in late April this past year. 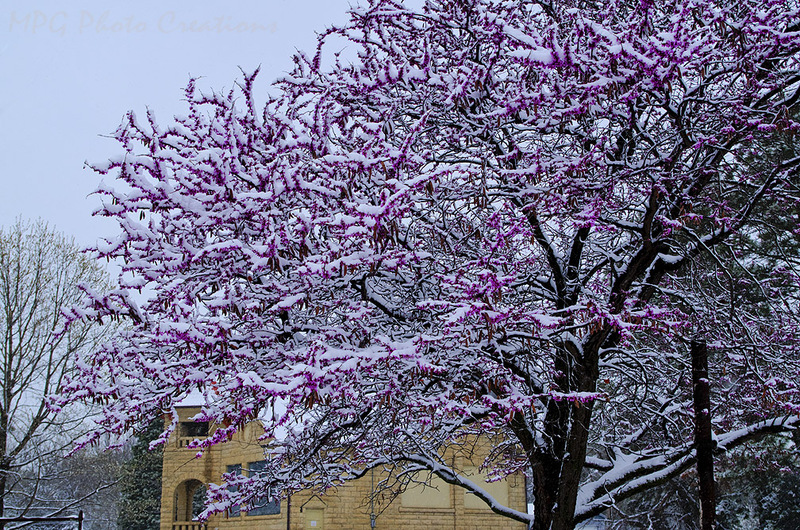 Snow on a Redbud tree in front of an old country school house.